When you send a wine gift to a loved one or friend, you want to make sure that they enjoy the contents as well as the presentation. There is nothing better than a truly thoughtful gift. Which is what makes our Personalised Wine gift perfect! 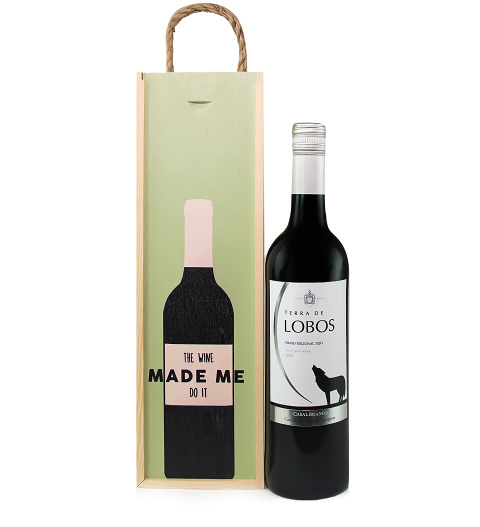 Included, the lucky recipient will find a 75cl bottle of Lobos Red Wine neatly presented in a wooden box. The front of this box can be personalised with a message of up to 100 characters.